New level of engine protection. 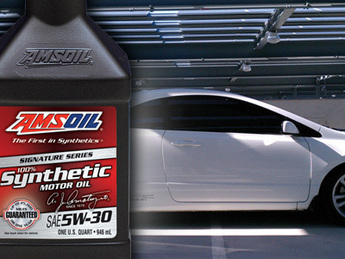 Signature Series Synthetic Motor Oil provides 75 percent more engine protection against horsepower loss and wear1 than required by a leading industry standard, extending the life of vital components like pistons and cams. Its strong fluid film keeps metal surfaces separated while its robust anti-wear additives further reduce wear in metal-to-metal contact regions for maximum engine life.